DIY damp proof injection. How to install a damp proof course and advice on repairs to damp proofing if your damp course has failed. Damp proofing advice and recommended DPC products including Vertical DPC and the injection technique using cream DPC. If you need any help with any type of damp proof Injection, timber repair, maintenance, or other damp problems Property Repair Systems will be pleased to give you completely free (no obligation), unbiased easy to follow and practical advice on 01626 336180. The information you need may be in the project below, if not, call them. A damp proof course (DPC) is a physical barrier inserted into the fabric of a building to stop water passing from one place to another. This can be on a horizontal plane, stopping water rising up from the ground by being sucked up by the dry masonry above, or vertically to stop water passing from the outside of a building, though the masonry, to the inside. DPC’s have taken many forms through the ages and one of the earliest forms was to use a layer of slate in the construction. 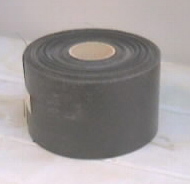 Slate is still used but the less expensive plastic version is now more widely used. 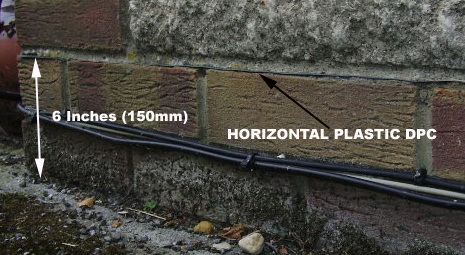 A horizontal DPC is usually placed 6 inches above ground level and used in conjunction with a damp proof membrane which stops water rising to any part of the ground floor from the ground. 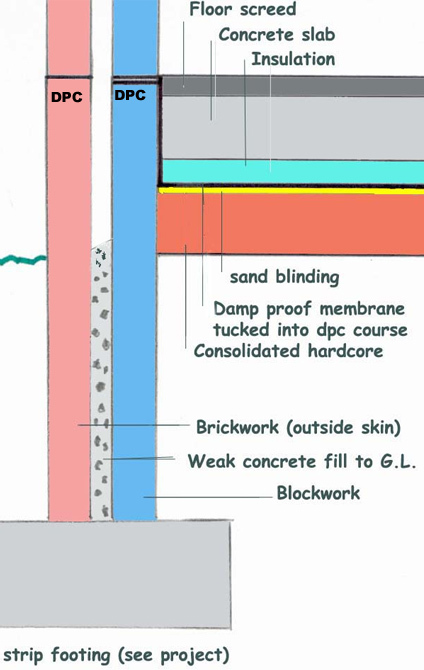 A diagram of a typical ground floor construction can be seen below and you can see how a Damp Proof Course works in conjunction with the membrane to stop any water rising up into the building above. In many older properties a non porous stone was used to build the first few courses of masonry but over the years this stone in many instances has become porous allowing water to be soaked up through it. It is not practical in most cases, to remove a course of stone to place a plastic, lead or slate DPC in the wall and new methods have been found of introducing a DPC where there is either none, or one that is broken in some way. These methods generally require the injection of chemicals into the walls and, on a larger scale, are better done by specialists as there are many complications which can arise as a result of saturated plaster and the measurement of the chemical being injected. 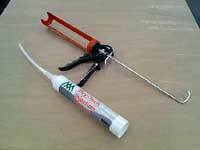 Now you can make repairs or add a DPC to small projects using a unique DIY method involving simple injection of a specialised cream using a normal sealant applicator gun after drilling 12mm holes to inject into! At last it is practical for home and amateur users to insert a chemical Damp Proof Course reliably, even in thick stone walls. This is because ‘UltraCure Cream’ has taken over from the high pressure injection of liquid. 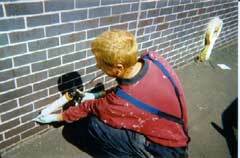 The old injection technique was hit and miss – even the ‘professionals’ struggled with blow backs, loss of fluid via fissures and the difficulty of getting a seal in crumbling masonry. Your only option then, as a private property owner, was to pay for a Damp Proofing Company to carry out the work, including the inevitable expensive replastering. Now you can even obtain your own Product Guarantee Certificate after injecting your own damp proof course. The new generation of UltraCure DPC Creams have appeared and for the first time private individuals and developers, builders and DIY enthusiasts can reliably and cheaply inject their own chemical DPC. Small jobs are no problem – the cream arrives in clean, sealed plastic, disposable cartridges, ready to fit into a standard skeleton gun. Nothing could be easier to inject – drill the hole, blow out the dust, inject – it takes about 1 – 2 minutes per hole and anyone can do it! If you would like to purchase Ultracure Quick Cream or find out a bit more about it check it out on the Dampness Info website. British Board of Agrèment- BBA Test Certificate No: 02/3961 – as used by the professionals. The BBA is a Goverment Approved organisation which has been testing building materials for over 30 years. Not all damp proofing materials have passed these tests – beware of cheap imitations. click here to View BBA Certificate. 9 inch thick wall (230mm) double leaf solid or cavity – 1000cc(1 litre) per 4.5 metres, inject from one side or from both sides. First, check for high ground levels, leaking gutters and down pipes, water leaks. Inject cream from the bottom of the hole outwards until the hole is full. Don’t forget to check the walls and skirting boards for dampness. If you click on the damp meter images above you will be taken to a section of the Property Repair Systems site where you will find detailed information on how our Damp Meters work and you will also be able to purchase and view our extensive range of meters for a great many jobs. Replaster to a minimum of 1.2 metres internally, to our specification, using sand and cement and Rendapruf integral waterproofer. This will prevent ‘salts’ damage to plaster finishes and decorations. Replastering is an essential job after inserting a chemical damp proof course. For more information on how to do this correctly see our replastering project for detailed information. In some cases you are better off using an Air Gap Membrane instead of sand and cement – Information and advice on these membranes and how to use them can be found here. 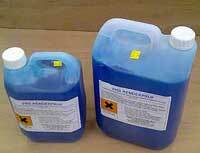 What Depth Should Chemical Damp Proof be Injected? The DPC cream that you use will have detailed instructions which you should follow. These should include information about the depth to which the chemical damp proof should be injected, but if not the above guidelines will suffice. To get everything you need to install your new damp proof course, including additional expert help and advice if you are still a little unsure on what products you need or how they should be used, check out the Dampness Info website here. If you need any help with any type of damp problem or plaster repair, Property Repair Systems will be pleased to help you out. Simply call us on 01626 336180. Why not go to our video section on damp proof injection and watch a film on damp proof cream installation to find out more on this particular way of treating the problem.